Video Game | More Crunchy Beach Mama! 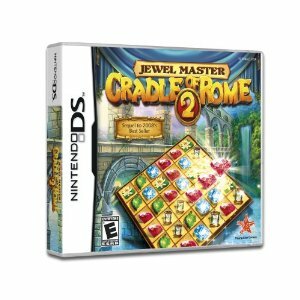 Cradle of Rome 2 Nintendo DS & 3DS Giveaway ~ 2 Winners! I should let C’Man write today’s post. He likes playing his new Cradle of Rome 2 3DS game and just sat done with me for a half an hour or so to show me what it’s all about. The concept is simple ~ gather enough gold and materials to rebuild Rome to its former glory. We accomplish this by passing the match 3 boards. 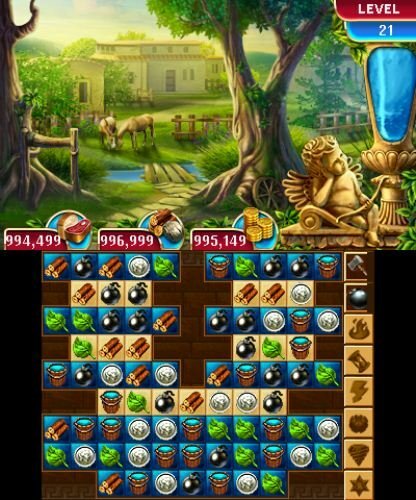 Three objects in a row remove them from the board and new ones are replaced. Can we finish the level and get rid of the blue boxes before time runs out? If yes, we will be deeply rewarded! Once our food, money, & building piles are large enough we can start building. 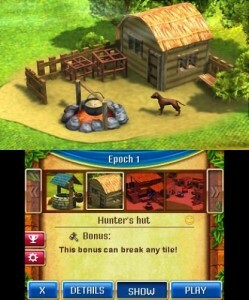 A well, a hunter’s hut, and a sawmill. There is definitely more, but we haven’t gotten that far yet. Each match 3 level gets harder and we need to pass them to make our construction go faster. I enjoyed my time with C’Man as he patiently explained what I needed to do. He will tell you that I quickly caught on and was having fun on my own matching up the boxes and earning points for him. It got quite addictive! The 3DS effects are great and the images pop out of the screen to give it a more real life look. Nintendo DS & 3DS ~ a Winner for each! I received this game for review. All opinions are my own. This giveaway will end on July 14, 2012 at midnight EST. Winners will be drawn via rafflecopter. Once a winner is drawn I will contact them and they will have 48 hours to reply before I draw a new winner. Giveaway is open to anyone in the US/Canada and you must be 18 years of age or older. Giveaway not affiliated with Facebook & I release them of liability. Winner will be posted in the rafflecopter widget.